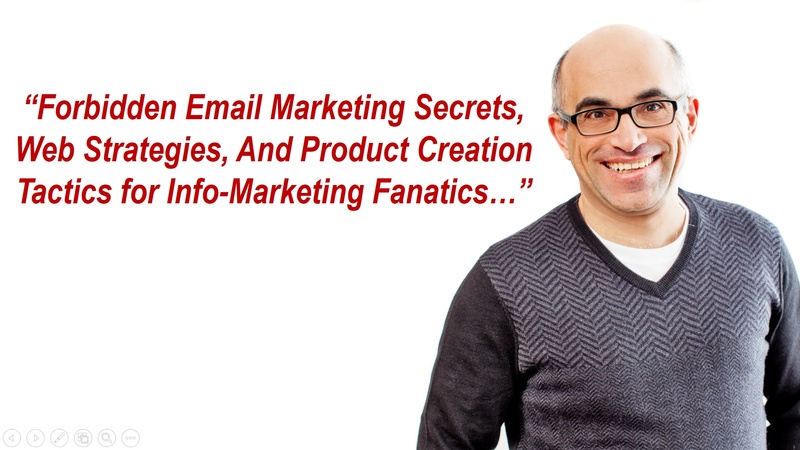 Over 20 Million Sold: The Inside Story of a Marketing Fortune! Today’s case study is a thing of beauty. But it’s not just the glorious photo, the brilliant layout, the personal story, or the knock-out copywriting. The entire ad is diabolically good. I picked it as a case study because this is one of many ads that helped sell over 20 million units at a price range of about 40-to-80 bucks each. Not only that, the author was one of the first to use infomercials and was the man who introduced 800 numbers for ordering by credit cards on a massive scale. 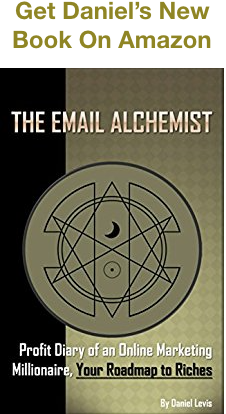 He’s also written several books that are foundational reading for anyone in marketing. So who is our guest celebrity? 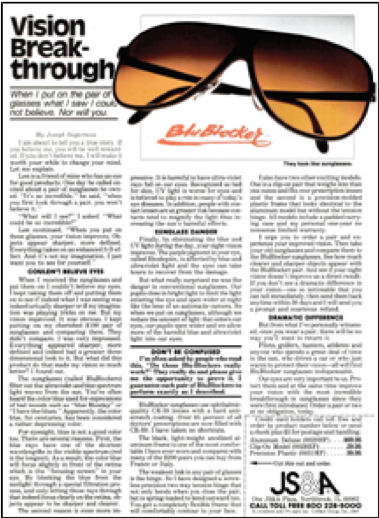 None other than the legend behind the astronomical success of BluBlocker sunglasses… Joe Sugarman. 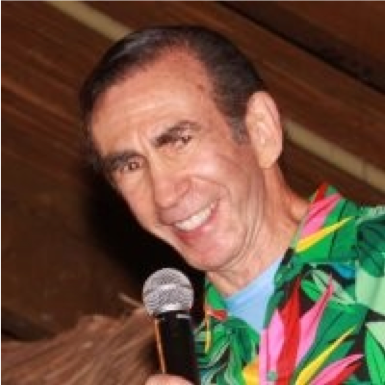 Joe is 80 now, and during his amazing life he racked up success after success in marketing and sales. He was the first to market the cordless phone and the digital watch. Before that he worked for Army Intelligence and later for the CIA, so he’s had a very colorful life. And the more rich and varied your life experiences, the better writer you’ll be. 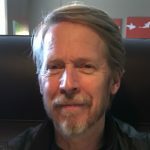 The more you read of Joe’s philosophy, the more you understand that he viewed marketing as a discipline that uses ALL your knowledge, perspective, and life experience. … Then we’ll go through some of the highlights. First of all, the visual hook is impossible to ignore. 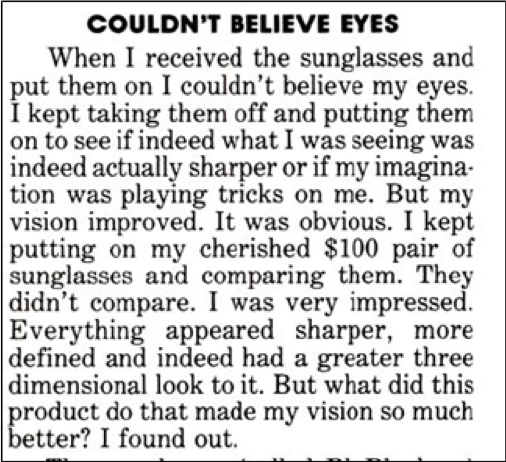 Between the headline and the way the sunglasses leap off the page, it’s an absolute showstopper. This is a technique Joe perfected as he expanded to other lines of merchandise. The headline and photo are an open loop that requires you investigate further. If you read the short piece of copy under the headline, it opens another loop that smacks of a good story. And to take you even deeper, check out the other side of the ad and these brilliant 4 words. When you read that phrase, it’s like a little bomb of confusion going off in your head… especially when you look at the image. Now you have to clear up the confusion by reading further. Also… with that one simple line, Sugarman has basically eliminated his competition by creating a whole new category of product. 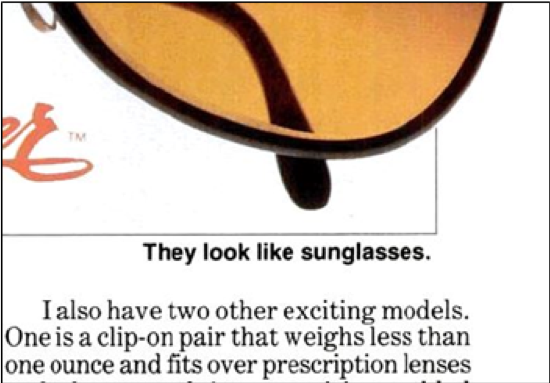 He’s no longer competing against “ordinary” sunglasses… these are something completely different… and obviously far more advanced. So of course they’re also more expensive! It’s a strategy you may be able to use to charge premium prices. OK… if the photo, the headline, and the extra bits of text aren’t enough to pull you deeper into the ad, Joe has subheads that will do it if you’re just skimming. It’s called the dual readership path — you can read the whole article or just pick out the subheads which will give you a general idea of what the ad is about… enough to make you jump back into the main text. One more thing about the various elements of this ad, and about marketing in general. You never know what’s going to grab your reader. Some people process information visually, some more auditorily, some want facts and figures, some want an imaginative journey. Sometimes it’s the headline that grabs them, sometimes it’s an image or a caption, sometimes it’s a subhead, and some readers jump right to the offer. 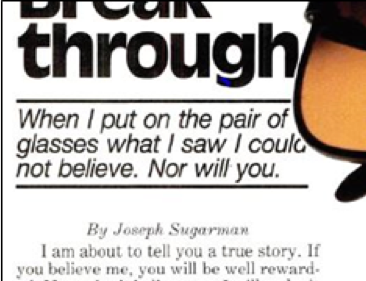 So you should approach readers from multiple directions and perspectives and with multiple modalities if possible… as Joe Sugarman does in this ad. Finally, another important item before we get to the body copy. Obviously, this ad is targeted to a more sophisticated audience than the usual grocery-store checkout-line tabloids. The tone is casual, informative, personal, straightforward, and with minimal hype. So now the stage is set, and we start reading the body copy… which or course, starts with a story. It continues in the same conversational style with two friends just talking. Sugarman’s narrative voice is very disarming in the fact that it is NOT full of hype. And he delivers bullet-point type information without the bullets. It carries you along without the feeling of an ad or that he’s trying to pitch you. It’s also brilliant in the way it’s EXACTLY how we perform tiny little behaviors in our own lives. 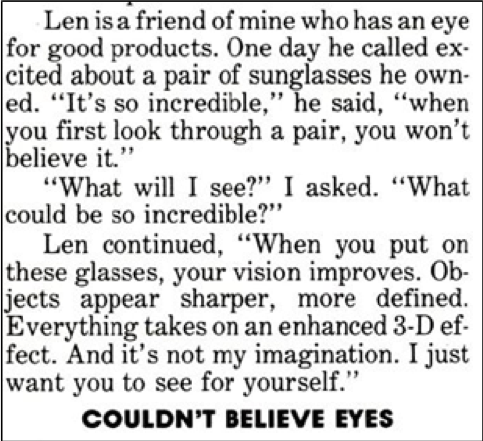 … Trying them on… looking them over… trying them on again… etc. And he’s also answering objections along the way. If you can match that kind of tone in your ads, your readers will follow right along with you. OK, that’s the wrap… you’ve got a great start. There are dozens more lessons as the story unfolds and this ad deserves hours of study. So dig in deep… you’ll be rewarded generously. Are you enjoying these little dissections of direct response marketing classics? Do you want more? Drop us a line in the comments box below. I’d love to know just the things that Joe Sugarman has forgotten. Thanks for the great copy analysis, and the inspiration.